Preacher: Dr. Jon Fancher (2), Dr. Jon Fancher Sermons (1). 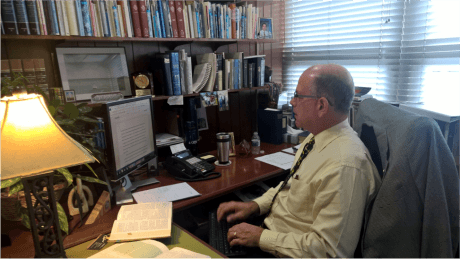 Series: 2019 Dr Jon Fancher Sermons (1), 2018 Dr Jon Fancher Sermons (1), 2016 Dr, Jon Fancher's Sermons. (1). Matthew 26:36-56 (Part of the 2019 Dr Jon Fancher Sermons series). Preached by Dr. Jon Fancher Sermons on April 18, 2019 (Maundy Thursday). Mark 14:32-50 (Part of the 2018 Dr Jon Fancher Sermons series). Preached by Dr. Jon Fancher on March 29, 2018 (Maundy Thursday). Luke 22:1-23 (Part of the 2016 Dr, Jon Fancher's Sermons. series). Preached by Dr. Jon Fancher on March 24, 2016 (Maundy Thursday).